We’d love your help. Let us know what’s wrong with this preview of The Fall of the House of Usher and Other Tales by Edgar Allan Poe. The eerie tales of Edgar Allan Poe remain among the most brilliant and influential works in American literature. Some of the celebrated tales contained in this unique volume include: the world's first two detective stories -- "The Murders in the Rue Morgue" and "The Purloined Letter"; and three stories sure to make a reader's hair stand on end -- "The Cask of Amontillado", The eerie tales of Edgar Allan Poe remain among the most brilliant and influential works in American literature. Some of the celebrated tales contained in this unique volume include: the world's first two detective stories -- "The Murders in the Rue Morgue" and "The Purloined Letter"; and three stories sure to make a reader's hair stand on end -- "The Cask of Amontillado", "The Tell-Tale Heart", and "The Masque of the Red Death". To ask other readers questions about The Fall of the House of Usher and Other Tales, please sign up. 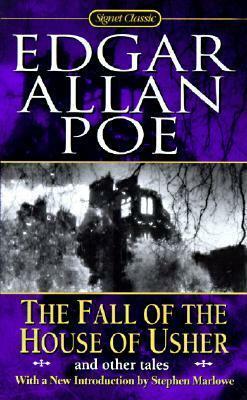 Before reading this book, I had a misconception that Edger Allen Poe was a horror writer. TRUE! – nervous – very, very dreadfully nervous I had been and am; but why will you say that I AM MAD? Most of the stories in this collection are Gothic horror. I found his work on this genre not scary, but thoroughly enjoyable. Poe presents some of his signature stories in a unique way: Through the eyes of the killer/ mad man. The most famous one being Tell-Tale Heart which features an unreliable madman as the narrator. Likewise, Poe's The Cask of Amontillado is narrated by a reliable killer. Another tale, The black cat borrows its plot elements from Tell-tale heart and delivers a wicked little tale. The Pit and the Pendulum is about a prisoner of Spanish Inquisition and presents a unique imagery in the minds of the reader. While I was reading Fall of House Usher, I understood that Poe had a thing for the burial of bodies. Seriously, he was in love with that plot element. Even though all of the above were excellent stories, my favourite in this genre, no, scratch that, in this book is The Masque of Red death which oddly had something Shakespearian about it. I loved the allusion and the imagery it invoked. The very memorable The Descent into Maelstrom is a ride like no other. It tells a tale of a man who survived a terrible maelstrom at sea with the help of reasoning skills. Manuscript found in a bottle is yet another nautical adventure which tells a tale of a man who got stuck in a ghost ship. I was a bit confused with the story and apparently, so is the good people of Internet. The story is even analysed as a satire by certain pundits! The Balloon Hoax: Even though this story could give Jules Verne run for his money, the science is too outdated to enjoy this one. Yet this story is unique because of its publication history. This was written by Poe as an actual news report which was published in the newspaper in the year of 1844. People got so excited about the whole thing.... until it turned out to be a hoax. Hence the name. C. Auguste Dupin. Anyone know who that is? Because I had no idea! Seriously, if Poe were not to write these stories, we might have ended up not having a Sherlock Holmes! Holmes character resembles Poe's Dupin in terms of method and style. The first story, The Murders in the Rue Morgue introduces us to this character and his methods. Even though this was the pioneer detective story, it is bogged down by lengthy narrative and a... well... weird reveal. Everything associated with this story is weird. Have you listened to the song, Murders in Rue Morgue by Iron Maiden? Weird! The man who was used up is a pretty funny satire. Yes, SATIRE. He even writes satire. There were also two other stories. Diddling and Assignation which were quite boring and forgettable. The Narrative of Arthur Gordon Pym of Nantucket is the only novel written by Poe and it is a mixed bag in terms of storytelling. Opening with a sea voyage that went wrong, the narrative presents some excellent chapters. But it falls flat in the second half as the story changes its direction. For a detailed review of the novel-----> Here! I go through phases where I think Poe was the greatest writer that ever lived. They usually pass in 2-3 weeks or so, once I've had time to read and re-read his best stuff and be appalled by his worst. For the most part, this collection sticks to the best. There's not much of it. 200 pages would probably do it. Maybe 12 stories, some poems ('The Raven', 'Annabel Lee'). But page for page I don't think anything exceeds the beauty, craftsmanship, and visionary intensity of 'MS Found in a Bottle', 'The Tell-Tale Heart' or 'The Fall of the House of Usher'. Poe is a writer who collects disciples. He is revered as the inventor of the detective story, an accomplishment he himself shrugged off ('You just write it in reverse,' he is supposed to have said, or words to that effect). For me he is the inventor of whatever it is that we find next in Borges, in Kafka. A method of narration, of making the unreal real. It may even be the trick Gabriel Garcia Marquez said he learnt from his grandmother. I would hate for Poe to collect another label ('the father of magic realism') but for me he is the writer I go to when I want to learn how to suspend the reader's disbelief in a big way. I still remember my first reading of 'The Facts in the Case of M.Valdemar'. The plot is ridiculous, the stuff of B-movies, but through some sleight of hand the story is almost totally convincing. Appalling, horrifying. Sublime. Consider me a disciple. This selection of short stories reveals Edgar Allan Poe in all his moods. All the stories have been reviewed, but some have their own separate reviews and star rating. These are indicated with links at the end. This review and star rating is for the remainder of this selection. The Fall of the House of Usher (published in 1839) is the title story of the collection. It may well be one of the stories which started the current interest in the gothic genre, although Ann Radcliffe's "The Mysteries o This selection of short stories reveals Edgar Allan Poe in all his moods. All the stories have been reviewed, but some have their own separate reviews and star rating. These are indicated with links at the end. This review and star rating is for the remainder of this selection. The Fall of the House of Usher (published in 1839) is the title story of the collection. It may well be one of the stories which started the current interest in the gothic genre, although Ann Radcliffe's "The Mysteries of Udolpho", for instance, had been published much earlier in 1794. Apart from its parody in Jane Austen's "Northanger Abbey", Radcliffe's work has now largely been forgotten along with other great gothic works from the time. Yet The Fall of the House of Usher remains perennially popular and influential. Poe regarded it as his most successful example of "totality" , in that every detail and event in the story is relevant to the plot. The culmination of this story is a masterpiece of gothic description. Our credulity is stretched as the characters reach a point of hysteria, (view spoiler)[ and the surroundings themselves become increasingly sentient. The inkling about the ending which was dangled intriguingly before the reader at the start is satisfyingly proved correct. Both family and house are by then intertwined in an almost organic sense, and their demise is powerful and surreal. Was it wholly due to a tornado, (hide spoiler)] or was something more supernatural at work? The Balloon Hoax (1844), interestingly, was exactly that - a hoax. Apparently Poe wrote it as fiction pretending to be a newspaper article about a European balloonist called Edward Monck Mason crossing the Atlantic in a gas balloon in three days. There are many detailed technical specifications, which means that the story itself is not very interesting, although perhaps any hoax is going to have to seem rather dry and technical to be convincing. He is building up a fiction to seem true, which is almost the reverse of the ratiocination stories such as "The Murders in the Rue Morgue" , where the reader has to take things apart to solve a problem. Hot air balloons were still in their infancy, so it can be regarded as an early form of SF, and some think it may have been the inspiration for Jules Verne's later work, "Around the World in Eighty days." The reader can appreciate the beautiful powerful but haunting descriptions of Nature in this story, and marvel at the narrator's isolation and the increasingly spectral quality of the crew. It has been suggested that this is a satire of typical sea stories. One critic described it as, "a sustained crescendo of ever-building dread in the face of ever-stranger and ever-more-imminent catastrophe." A Descent into Maelstrom (1841) is a very similar tale, with Poe's extraordinary take on the nautical story with his extravagant and atmospheric use of language. There is a tale within a tale. The narrator is told the story of a fishermen versus the elements off the Norwegian coast a few years earlier, and is told that (view spoiler)[he only appears to be old because of his experiences, watching the horror of his brothers being slowly sucked into the maelstrom. Again, the whole piece is an escalating description of a shipwreck and a whirlpool and the reader is caught up in the tension of whether there is going to be a sole survivor. (hide spoiler)]A Descent into Maelstrom has been credited as an example of an early SF story. Both these two stories remind the reader of Coleridge's "The Rime of the Ancient Mariner" (1798), and are tales of sensation which emphasise the narrator's thoughts and feelings, and his terror of being killed in the whirlpool. Again, they have evocative powerful descriptions of storms at sea, but unless you are a fan of nautical literature, you may find that you admire them, but that leave you cold. They may not evoke the chill and dread of the true horror story we associate with Poe. The Murders in the Rue Morgue (1841) and The Purloined Letter (1844) are both reviewed in the collection which contains 5 short stories about the detective Auguste Dupin. Link here to my review of that collection. So, I guess Poe is pretty cool. He's still not my favorite author (and probably never will be), but I'm learning to appreciate his writing style and uncanny stories. The Balloon-Hoax - Wow. That was really boring. Ms. Found in a Bottle - Good suspense, but the ending confused me. A Descent into the Maelstrom - Not too memorable. The Murders in the Rue Morgue - A rather silly Holmes-esque mystery tale. The Purloined Letter - Not bad, but far too wordy. The Black Cat - Deliciously disturbing. The Fall of the House of Usher - Not as interesting as his others, but good atmosphere. The Pit and the Pendulum - A delightful tale of suspense. The Masque of the Red Death - Me The Balloon-Hoax - Wow. That was really boring. The Masque of the Red Death - Meh. Weird for no reason and kind of boring. The Cask of Amontillado - I think makes Poe so memorable is his vivid first-person accounts from the point of view of a killer. The Assignation - I couldn't follow this one. What did the drowning child and the art aficionado have to do with one another? The Tell-Tale Heart - Funnier than I'd remembered. One of my all-time favorites. Diddling - A random essay on swindling. The Man That was Used Up - Silly, amusing, but ends a bit too abruptly. I've been slowly working my way through this over the past six months, reading a story here and there. Initially I was quite daunted by the idea of Edgar Allan Poe, but as I progressed through the collection I found myself relaxing into it and just enjoying the writing. There were many standout stories in this collection, but I did especially enjoy The Fall of the House of Usher, The Pit and the Pendulum, The Premature Burial, The Black Cat, The Masque of the Red Death, The Tell-tale Heart and T I've been slowly working my way through this over the past six months, reading a story here and there. Initially I was quite daunted by the idea of Edgar Allan Poe, but as I progressed through the collection I found myself relaxing into it and just enjoying the writing. There were many standout stories in this collection, but I did especially enjoy The Fall of the House of Usher, The Pit and the Pendulum, The Premature Burial, The Black Cat, The Masque of the Red Death, The Tell-tale Heart and The Spectacles which was a rather funny story. The Domain of Arnheim and Landor's Cottage, were the only two stories that I found myself having to make an effort to maintain my focus- they were beautifully written though, and not too long. I don't like these kind of genres, that much. But Poe is a beautiful exception. He is brilliant at creating weird atmospheres, although sometimes it seems those descriptions are too long, with women dying all over the place. However, it is not difficult to get into the stories and feel real emotion. I really liked William Wilson, I liked "Ms. Found in a Bottle", "The Oval Portrait", the art of losing a wife by gaining a painting. "Ligeia", I don't quite get it yet, but it has a frightening beauty I don't like these kind of genres, that much. But Poe is a beautiful exception. He is brilliant at creating weird atmospheres, although sometimes it seems those descriptions are too long, with women dying all over the place. However, it is not difficult to get into the stories and feel real emotion. I really liked William Wilson, I liked "Ms. Found in a Bottle", "The Oval Portrait", the art of losing a wife by gaining a painting. "Ligeia", I don't quite get it yet, but it has a frightening beauty. That one and others are creepily fine. Death, terror, murders, madness, vulnerability, loneliness. A nice journey in a truly interesting writing style. I need some Seinfeld now. 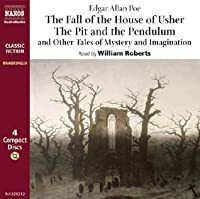 "The Pit and the Pendulum" (2.5 to 3.0 stars): The best way I can think of to describe Poe's writing is "atmospheric" and he certainly does a good job creating atmosphere in this short story. A good, solid story but not the "classic" I was hoping for. "The Tell-Tale Heart" (4.0 stars): My favorite Poe story Of the ones listed here. A short, well-written and powerful story about guilt. The opening sequence right away sets-up the mood of the story – “the soundlessness of the autumn day, low-hanging clouds, dreariness of the countryside, waning of the day, the melancholy house itself.” The descriptions are so amazing of the inside of the Usher House which intensifies the impression of gloom and decay given by the outside. Such symbolism too! The way that Roderick’s studio is reached “through many dark and intricate passages” suggest that access to his mind is hidden and convolut The opening sequence right away sets-up the mood of the story – “the soundlessness of the autumn day, low-hanging clouds, dreariness of the countryside, waning of the day, the melancholy house itself.” The descriptions are so amazing of the inside of the Usher House which intensifies the impression of gloom and decay given by the outside. Such symbolism too! The way that Roderick’s studio is reached “through many dark and intricate passages” suggest that access to his mind is hidden and convoluted as well. The crafting of the tone is brilliant. Recommended to Apokripos by: the "Voice"
There’s no denying that much of modern horror fiction — as we know it anyway — grew out of the gloomy, chaotic depth of the 19th century when a few demented souls were churning out tales of things that go bump in the night. These were writers who were dubbed freaks during their time and, as if the patina of age hasn’t wore off, are still considered as such today. They broke taboos, infringed established rules, attacked the sensibilities of their era, and twisted genres to the breaking point. Sure thing, they died broke, scorned or both, yet in the process gave birth to some of the great works of literature, became a pioneer and initiated many of the conventions that are now considered commonplace in much of today’s horror fiction. Thus, in my exploration (and bid to become the most annoying know-it-all) in matters concerning the horror genre, I looked back and was lead on this dark alleyway, in the hall of one of the most venerable Old Masters of Horror: Edgar Allan Poe. Looking at Poe’s life, one gets a fair idea that the man led a tragic, if not a horrific life. He was a poet at heart, aching for personal losses and hopping from job to job in the publishing world while he tried to find something fulfilling amid alcoholism and depression. To help pay the bills, like so many writers before and after him, he turned to sensationalism. Lucky for us, he was good at it, and the results were among the most vivid and chilling horror tales ever written. You’ve got your buried alive tale (The Premature Burial), your revenge tale (The Cask of Amontillado), your torture tale (The Pit and the Pendulum), your plague tale (The Masque of the Red Death), your haunted house tale (The Fall of the House of Usher) and perhaps the most vivid of all, the internalized ghost story (The Tell-Tale Heart). It is the last of these that always struck me as the most effective, at least among Poe’s work. All of these stories are important to the genre. Many of them are flat out revolutionary, and have been imitated ever since. But there’s something about The Tell-Tale Heart, on the relentless psychological hell it seems to hurl into the reader’s head, that makes it stand out as a masterwork among masterworks. It speaks to the fear that we might lose control of the one thing we always thought we could manage: ourselves. We all have our own little bodies under the floorboards, and even if we’re not murderers, it’s a story that suggests we could be — which, in my opinion, might be among the scariest feelings of all. Poe was a master at conveying this kind of internal torture, and for all the unapologetic sensationalism of his work, it’s that internalized agony that makes it all too real for us. The reader of an Edgar Allan Poe story — we could also throw in his splendid poems, I presume — may expect to encounter characters in the grip of extreme experience. Murder is common, as is madness, and life at times can seem a horror. Reading his stories is a retreat from humanity into a ghastly realm where as much as possible of the human is left out, where our weaknesses became wobbling strengths and our trembling gasping cries. But what we forever owe to Poe is he dared to look, when others have no guts even to take peek, at the door where horror lurks opening a worm of possibilities that slithered in and out of the genre to which he may have the (bloody?) hand of creating. More than anything else, it is Poe who sculpted, with such fine craftsmanship, a form out of our very own fears and nightmares. Hearing your name given to literary characters is a weird experience. I guess I should be thankful I don't have a more common name, like Sarah or Kate or whatever. Sharing a name with a fictional character doesn't happen to me often - the last one I can remember is The Departed, where the single female character was named Madeline but it didn't really matter because she got called by name a whopping one time - but when it does it's weird. Especially when you're reading this story by Poe, and the Hearing your name given to literary characters is a weird experience. I guess I should be thankful I don't have a more common name, like Sarah or Kate or whatever. Sharing a name with a fictional character doesn't happen to me often - the last one I can remember is The Departed, where the single female character was named Madeline but it didn't really matter because she got called by name a whopping one time - but when it does it's weird. Intriguing storyline, beautiful writing style and a great plot twist! I have nothing else to add- I love Poe’s stories! Not much more to say. He is right of course. I feel like saying something along the lines of: "more fiction writers should read Poe." But I suspect that plenty of the shittiest writers around count Poe as a favourite. So what's the deal? In any case, much of this stuff is just perfect. And you know it. If you don't, you haven't read Poe, or have questionable taste. 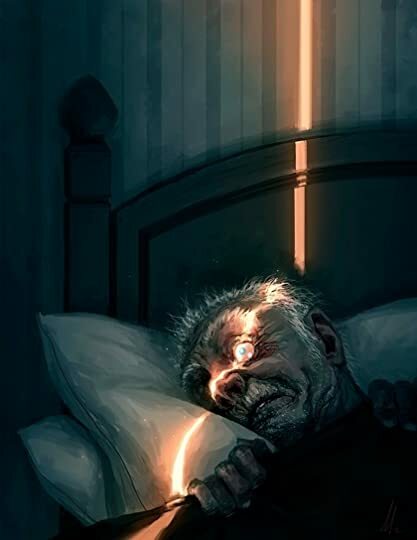 This story will absolutely freak you out. Of course, you should expect that from the greatest suspense writer of all time. I am not sure what rating to give to this collection of stories. On one hand, it has a bunch of well known stories by Poe such as The Murders in the Rue Morgue, The Black Cat, The Fall of the House of Usher, The Pit and the Pendulum, and The Tell-Tale Heart - all of them sit on top for me as the greatest stories by Poe. On the other hand, this book also contained the only full novel by Poe, Narrative of A. Gordon Pym which clocks in at about 178 pages. This would not be bad if it did not contain I am not sure what rating to give to this collection of stories. On one hand, it has a bunch of well known stories by Poe such as The Murders in the Rue Morgue, The Black Cat, The Fall of the House of Usher, The Pit and the Pendulum, and The Tell-Tale Heart - all of them sit on top for me as the greatest stories by Poe. On the other hand, this book also contained the only full novel by Poe, Narrative of A. Gordon Pym which clocks in at about 178 pages. This would not be bad if it did not contain the big theme of the time - men get stranded on a an island and fight to stay alive. This went on an on and I almost wanted to give up since my book had very small letters, which made it bearable for me to read only few pages per day. I stuck with it and my review of this story is "meh". Edgar Allan Poe has succeeded in creating an extremely excellent Gothic work, which contains the famous characteristics of this genre, such as terror, suspense, depressing landscape, haunted house and gloom’s metonymy. A dearth of setting is the first and clear observation that we have in mind. In other words, when this story begins, it states just an unnamed narrator standing in front of a gloomy and frightening house on an autumnal and overcast day. Therefore, neither a location nor a precise Edgar Allan Poe has succeeded in creating an extremely excellent Gothic work, which contains the famous characteristics of this genre, such as terror, suspense, depressing landscape, haunted house and gloom’s metonymy. A dearth of setting is the first and clear observation that we have in mind. In other words, when this story begins, it states just an unnamed narrator standing in front of a gloomy and frightening house on an autumnal and overcast day. Therefore, neither a location nor a precise time is mentioned. However, the lack of the place and time does not mean that the short story’s setting is trifling; when we consider here the atmosphere, which is extremely more important and influential than time and space, we can evidently understand that it plays an amazingly significant role in building a quintessential setting. The narrator is our means of describing the house from outside and inside. We, via the narrator, can feel or get involved in a very gloomy and unappealing day, let alone the horrifying house of Usher that render the narrator, as well as us, terrified. Inside the mansion, we obviously note that the indoor objects bring again those uncanny feelings, which indicate that he has entered a world of mysteries and suspense. Furthermore, the dull day, which is inevitably considered a symbol of dark and gloom, transfers to the reader that indeed it is not a sunny day in which regular and usual events are expected. In this story, what will later on happen is foreshadowed by those features of the environment of the house of Usher; that is, when the dull day, the eerie feelings or the mansion’s description is seen as the first glimpse, we automatically grasp that there will come events that can not be scientifically or logically explained. The fact that Roderick Usher has not left his house for many years clearly shows the state of claustrophobia, concretely and mainly the house, from which Roderick can never escape “for many years, he had never ventured forth.” In addition, the narrator also does not seem to leave the house, and hence he and we are trapped in that evil house until the end of the story. Any house, as everybody normally knows, is considered as both building and family line. The house of Usher, however, is not merely a structural design, but it is a living thing that is part of Roderick Usher. The house is alive because it renders its inhabitants gloomy and miserable. This is what happens to the narrator when he stands before the mansion. Moreover, the uncanny sounds that both Roderick and the narrator hear evidently indicate that the house is trying to terrify them—which indeed it does succeed in doing so. When the writer chooses “The Fall of the house of Usher” as his official title, it is quiet comprehensible that he is talking about the collapse of the house as a building, and yet we have to peer into another important meaning which might be the decay of Usher family, as well. This could be nonsense, but if we go back to the Eighteenth Century, the term “house” was referred to both building and family. Therefore, we witness a dual “fall” of the house being inanimate and animate. Having mentioned the narrator, we have to consider his role which amazingly contributes to the report of the whole events. Apparently, the narrator is unnamed, and it seems that his name is not important as his duty, which is primarily to narrate. Thus, we accompany him, and he guides us through the house and its weird events of which even the narrator has not been sensible. Furthermore, he does not seem to be engaged in the Usher life, for throughout the story nothing horrible happens to him. And this is obviously viewed when Madeline Usher neglects the narrator’s presence the moment she attacks her brother, Roderick. Roderick Usher suffers from an extremely bizarre and serious illness. The former directly informs us about his physical and psychological complication. And it is very evident that more or less any illness has a remedy, especially a physical one. Nonetheless, his problem, which has always been great to endure, is prominently mental, and hence he has sent his only friend a letter in which he displays his absolute need for the narrator’s presence. Although needing help of a friend is a normal thing, it seems to add a sense of curiosity and lets us question the reason why Roderick chooses that specific time—not before—to be called on by the narrator. Roderick invites the latter and us, as readers, in order to demonstrate either the eerie events that happen in the house or to make us fill his emptiness and solitude; both assumptions might be definitely true. Not only does Edgar Allan Poe succeed in making us merely his tales’ loyal readers, but also he enters us in an amazingly different world which we will totally experience without being physically involved. According to this tale, terror leads to madness and death. The most horrible thing that Roderick fears is his own fear of death. In other words, we observe here a man who probably has the ability to foresee (or at least to predict) what will happen to him—which primarily has to be a tragic death due to fear “To an anomalous species of terror I found him a bounden slave. "I shall perish," said he, "I must perish in this deplorable folly. Thus, thus, and not otherwise, shall I be lost. I dread the events of the future, not in themselves, but in their results.” This becomes evident when Madeline Usher throws herself on Roderick. We might conclude that Madeline is just an embodiment of fear and that she might not even exist from the beginning, for she neglects the narrator two times: when she walks in a distant place of the house and when she falls upon her brother. Though art, in this tale, is not very essential for some readers, it might be one of the hidden, and supreme, messages that Edgar Allan Poe wanted to transfer. Roderick Usher lives indeed an amazingly miserable life; however, we assume that the possession of different literature books and musical instruments is an ample testimony to say that he is an intellectual person in spite of his isolation from society. And this automatically indicates that Poe implicitly claims the fact that, in this world, there are masterminds who can help, somehow, humanity, and yet they are neglected or are completely forgotten even after their death. In addition, we also learn, too, the very remarkable fact, that the previous members of Usher family died from almost the same obscure illness that Roderick and Madeline have; therefore, we witness a family that has an inheritable disease, which was also the case with Edgar Allan Poe whose wife, Virginia, died of tuberculosis as also had many members of his family. Roderick (who identically represents Poe) crazily adores Madeline as his sister and incestuous companion. If we study Poe’s love life, we will absolutely notice that both he and Virginia, who was very young, had a brother-sister and husband-wife relationship. “The Fall of the House of Usher” evidently indicates that Roderick Usher’s fictional life is, somehow or other, an identical mirror of Poe’s. Roderick Usher’s fear is inevitably driving him to madness and eventually to a tragic death. We clearly witness a life of a sick man in the mercy of fear and agitation. He does not know what he wants and what to do. Nevertheless, if we dig deep into the real facts, we will absolutely say that he proudly has the right to be thought a mad man, because he can neither believe the eerie phenomena that regularly happen in the mansion nor his sister’s revival. In other words, he is not crazy, for his house is pervasively haunted, and his sister actually gets back from the after life. If we were to imagine ourselves in that mansion, we would probably be called also mad “He suffered much from a morbid acuteness of the senses; the most insipid food was alone endurable; he could wear only garments of certain texture; the odours of all flowers were oppressive; his eyes were tortured by even a faint light; and there were but peculiar sounds, and these from stringed instruments, which did not inspire him with horror.” This quotation implicitly indicates that the sense which does not allow him to eat, wear, see and hear properly is the same sense which hints that Madeline will indeed come back. Through Edgar Allan Poe’s “The Fall of the House of Usher”, we, as his readers and witnesses, obviously notice his own fear, madness and miserable life, as well as his utmost physical and psychological illness. This story is a real success, for it is widely open to thousands of interpretations which are mainly within the frame of Gothic elements, such as melancholy, mystery, fear and gloomy atmosphere that make the reader cling more and more to his tales which probably will always be traced in one’s mind. I acquired this book, The Fall of the House of Usher and Other Writings by Edgar Allan Poe, to satisfy a Reading Challenge and ended up enjoying it for the most part. I readily admit that I didn't read all of the Essays and Reviews that make up the third and final portion of the book. However I think I read enough to consider the book complete from my perspective. The book is made up of three sections; Part 1 - Collected Poems by Poe, Part 2 - A collection of Poe's Short Stories and as previously I acquired this book, The Fall of the House of Usher and Other Writings by Edgar Allan Poe, to satisfy a Reading Challenge and ended up enjoying it for the most part. I readily admit that I didn't read all of the Essays and Reviews that make up the third and final portion of the book. However I think I read enough to consider the book complete from my perspective. The book is made up of three sections; Part 1 - Collected Poems by Poe, Part 2 - A collection of Poe's Short Stories and as previously mentioned, Part 3 - Essays and Reviews. As mentioned Part 2 consisted of his short stories, a mixture of mysteries like The Murders in the Rue Morgue, which I remember watching at the movies, and The Purloined Letter (which wasn't as good). Both feature sedentary detective, Monsieur Dupin. The rest of the stories were a mixture of fiction and horror. I enjoyed many, especially the last three; The Facts in the Case of M. Valdemar, The Cask of Amontillado an Hop-Frog. There were many other interesting stories, a treasure hunt - The Gold Bug, more horror - The Black Cat, etc. The classics. As mentioned I didn't read all of the essays, but did find his Philosophy of Furniture interesting as well as his review of James Fenimore Cooper's Wyandotte. Surprising. I find with this collection, my opinion on Poe is evolving; becoming more refined. First, this may be better named The Narrative of A. Gordon Pym and Other Tales as Poe’s only full-length novel closing out this compendium is the lion's share of the pages. Also, purported as a response to a Poe hoax is completes the bookends with the initial newspaper piece "Balloon-Hoax". In this realm of writing, I find there is science fiction - tales tethered to scientific facts - and science fantasy - fiction I find with this collection, my opinion on Poe is evolving; becoming more refined. First, this may be better named The Narrative of A. Gordon Pym and Other Tales as Poe’s only full-length novel closing out this compendium is the lion's share of the pages. Also, purported as a response to a Poe hoax is completes the bookends with the initial newspaper piece "Balloon-Hoax". oh my goodness just read the pit and the pendulum it is truely frightening. Loved it one of the best psychological tales I have ever read. WOW 5 stars from me for this story alone. A brilliant introduction to Poe . There were lots of stories and poems in here that I admit to using my hi lighter pen on and that is not something I do regularly. The Raven is a personal favorite of mine and The Pit and the Pendulum again Wow but there is much more to be enjoyed from this master of the macabre.. This is an interesting collection compiled by Signet Classics, including many of Poe's more famous (and gothic) short works such as "The Tell-Tale Heart", "The Masque of the Red Death" and "The Black Cat", as well as the detective stories that some argue inspired Sir Arthur Conan Doyle's famous Baker Street sleuth, "The Murders at Rue Morgue" and "The Purloined Letter". I had never read "The Casque of Amontillado" (even as, I confess, I knew its plot because of the internet meme) or "The Pit and This is an interesting collection compiled by Signet Classics, including many of Poe's more famous (and gothic) short works such as "The Tell-Tale Heart", "The Masque of the Red Death" and "The Black Cat", as well as the detective stories that some argue inspired Sir Arthur Conan Doyle's famous Baker Street sleuth, "The Murders at Rue Morgue" and "The Purloined Letter". I had never read "The Casque of Amontillado" (even as, I confess, I knew its plot because of the internet meme) or "The Pit and the Pendulum". I enjoyed the former over the latter because it was more humorous, but the latter was a technical achievement in that I actually felt my skin crawl when I was reading Poe's protagonist's account of the rats crawling all over him. "The Fall of the House of Usher" was also new to me and in the same vein as Poe's other gothic tales, and the decrepitude and decay of the sprawling house of Usher put me in mind of Shirley Jackson's We Have Always Lived in the Castle, from which Jackson no doubt drew some inspiration. Off-setting the collection of horror are some of Poe's satirical works, which I had never read: "The Balloon Hoax", "Diddling", and "The Man That Was Used Up". These were kind of interesting, even as a window into another side of Poe's writing since he's so famous for his dreadful tales. I found "Diddling" to be the funniest since it was least reliant on specific historical references. Signet's decision to include the only novel Poe ever wrote, The Narrative of Arthur Gordon Pym, in this anthology struck me as questionable since the rest of the collection consists of Poe's essays and shorts. "A Descent into the Maelstrom" and "MS. in a Bottle" are both a part of this collection so honestly I could have done without Pym, especially because Poe flexes his aptitude for listing endlessly boring technical specifications so zealously in "The Balloon Hoax". The jury is out among Poe scholars as to whether "MS. in a Bottle" was meant as a satire, but it's so structurally similar in parts to Pym, which Poe apparently once told a friend was "a very silly book" that it might not be a stretch to consider in parody. Pym was like Robinson Crusoe with none of the charm. Poe meticulously patterned his protagonist, Arthur Pym's, experience on two sea-faring vessels after real naval diaries from the time period, and it made me wonder how many passages he lifted verbatim. The afterword's account that Poe's fatuous descriptions of the creatures Pym encountered on his voyages to fictional sea islands pissed off Alfred Russel Wallace enough that he condemned them came as little surprise. Good creepy collection including: The Fall of the House of Usher; The Pit and the Pendulum; The Black Cat; The Facts in the Case of M Valdemar; The Cask of Amontillado; Ligeia; The Tell-Tale Heart; The Masque of the Red Death; The Premature Burial; and The Raven. Many deal with entombment and/or the failure to remain dead. The narration of the audiobook was a little too dramatic. Re-read 'The Pit and the Pendulum' for the 'Catching up on the Classics' August short story. I’m going to get into trouble, so let me just say this up front: Edgar Allan Poe is without a doubt one of the most influential figures in the history of literature, American or otherwise, and his contributions can’t be overstated. He was also, however, overly long-winded, had a difficult time creating relatable characters, and had a tendency to lose sight of the reader as he rambled. A lot of the stories in this book, you’ve probably read before. “The Pit and the Pendulum” is one of the great Am I’m going to get into trouble, so let me just say this up front: Edgar Allan Poe is without a doubt one of the most influential figures in the history of literature, American or otherwise, and his contributions can’t be overstated. He was also, however, overly long-winded, had a difficult time creating relatable characters, and had a tendency to lose sight of the reader as he rambled. A lot of the stories in this book, you’ve probably read before. “The Pit and the Pendulum” is one of the great American horror stories. “The Black Cat” is a classic, but such a staple of horror literature that people overlook the fact that the main character is undone simply through his own hubris. At least in “The Tell-tale Heart”, the killer has a breakdown to blame for his fall (although, again, he is an utterly unlikeable character who essentially went mad and killed a man for having glaucoma). “Murders in the Rue Morgue” and “The Purloined Letter” very much gave birth to the modern detective story, but are overly long and tedious. This collection does have some lesser known works, though, which is why I picked this one up. “A Descent into the Maelstrom” remains probably Poe’s most sadly underappreciated works. But also here are “The Man That Was Used Up”, “The Cask of Amontillado”, and “Diddling” which serve only to show that opium is a heck of a drug – because as stories, they’re just awful. The real prize here is “The Narrative of Arthur Gordon Pym”, one of Poe’s only true novels and credited as inspiring the likes of Jules Verne H.P. Lovecraft. Frankly, it’s disappointing. The story is an overly long tale of adventure at sea which is really two, if not three, distinct short stories rolled into a vague novel. Poe gets bogged down in overly descriptive passages about seamanship and ship design along the way, turning it into a disjointed, bloated, and awkward story that limps along before glossing over the truly interesting parts of the tale en route to a vague and somewhat unsatisfying conclusion. As Poe collections go, this one gets points for some lesser known inclusions. Ultimately, though, the satisfying stories have already been covered hundreds of times before, so this one sort of falls by the wayside.